This morning I am recalling the many blessings and memories of this Christmas season. There are new additions to the Holiday Memory Bank. One, that I want to share with you, involves my very special friend, Maggie, who was born and raised in England. Although she’s resided in the US for more than 40 years and is now a US citizen she has retained the loveliest British accent and sensibility. Her simple and elegant décor and delicious meals and desserts are her trademark among members of our community. 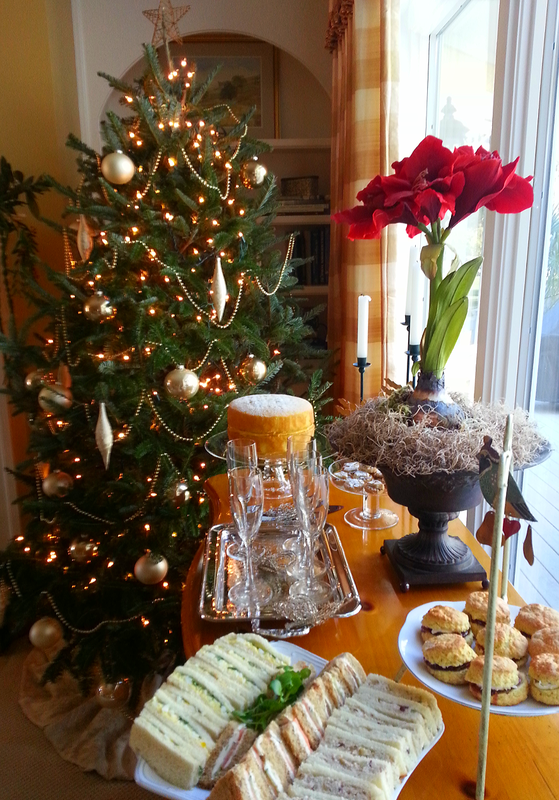 In early December I attended the annual Callawassie Island Garden Club Holiday Reception and Auction and saw that Maggie was offering ‘A Traditional English Christmas Afternoon Tea in the Lowcountry’. I could not resist! I bid on this special item and won the bid! 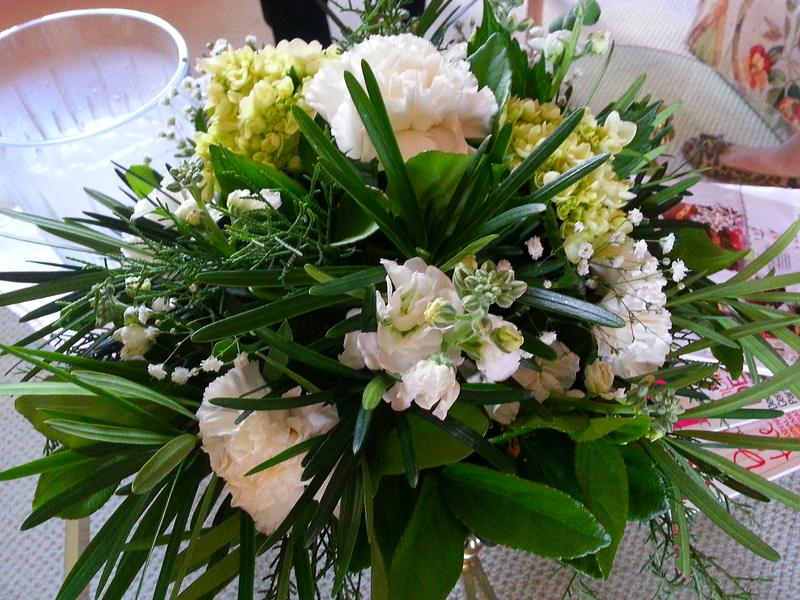 In addition to being assured a special afternoon with friends, the proceeds fund our community gardens. I also bid and won (with my friend Casey) a Spring Sunset Cruise. More on that next year! I invited three other of my special friends – Judy, Cheryl and Casey – to accompany me to the English Tea. Maggie did not disappoint! 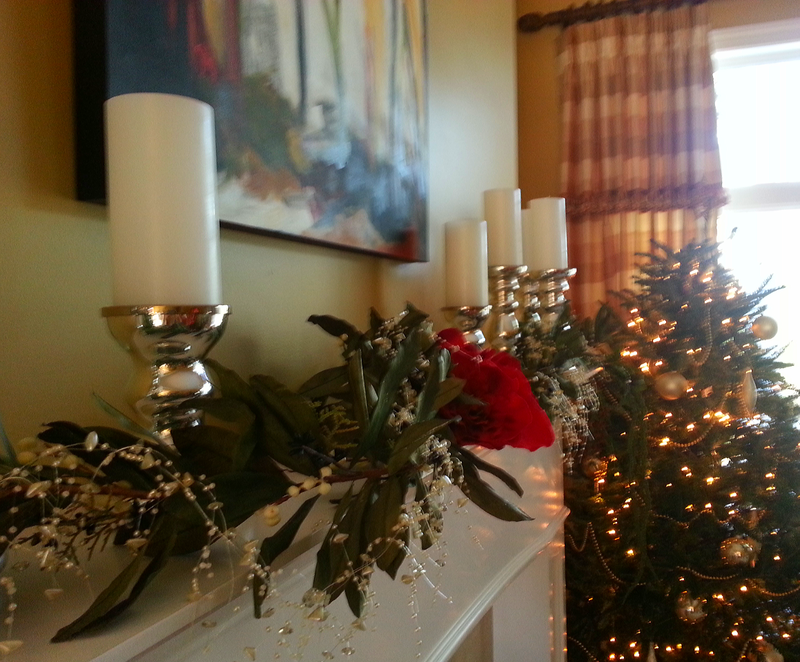 Her home was fully dressed for Christmas with special touches on the mantle and throughout the house. An array of English treats awaited us. The buffet was set with finger sandwiches, scones, dainty meat pies (did you know that the base of these little pies is fruit, not meat?) 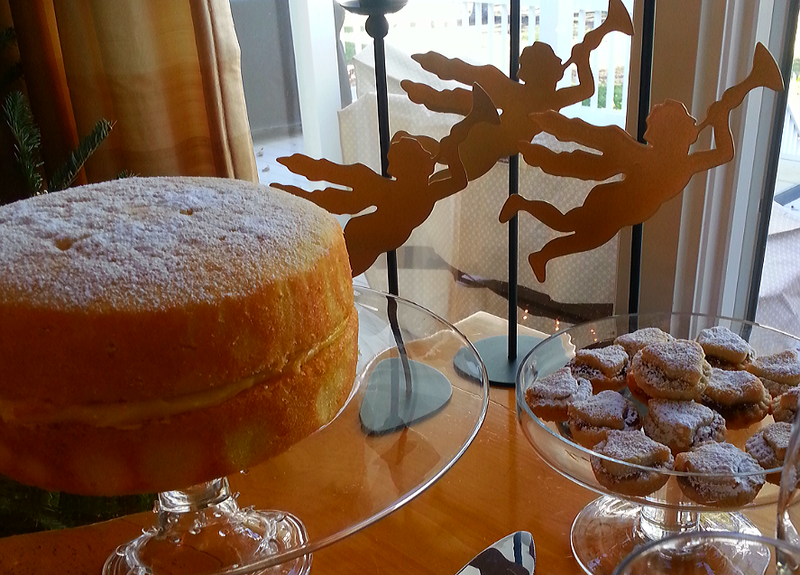 and a lemon cake filled with lemon curd. And of course there was a bit of the bubbly to start things off! The afternoon concluded with a selection of English teas, served of course in English tea cups. 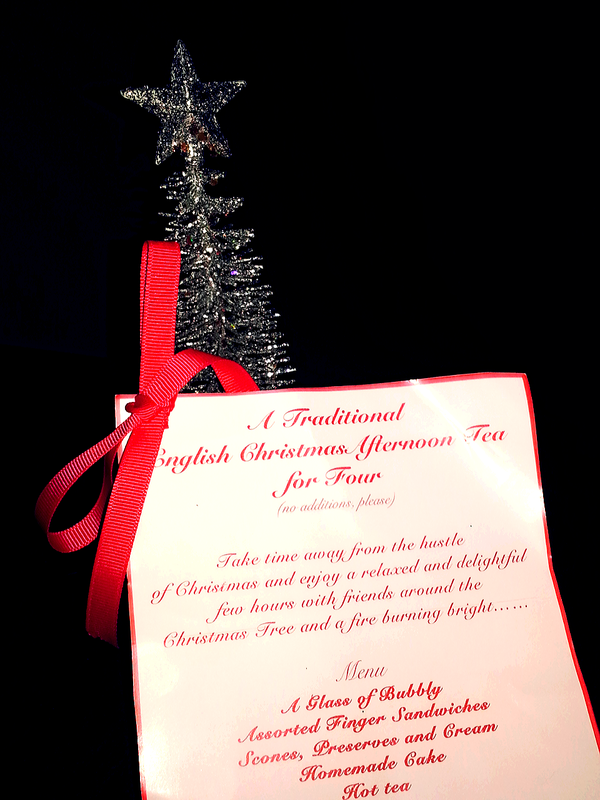 Maggie’s attention to every detail made this “ladies” afternoon a very special holiday experience. Spending quality time with friends during the hectic season is a reminder that memories are made when we take the time to connect with friends and family and share in meaningful and fun experiences. I am so fortunate to add this experience to my memory bank and hope that your memory bank is full and inspiring! Sounds like it was a lovely afternoon. I really enjoyed hearing about it! It was lovely….and very authentic! Happy New Year! What a wonderful prize to be offered by your English American friend. There’s nothing quite like a good old English tea. My grandmother used to do them marvellously well. 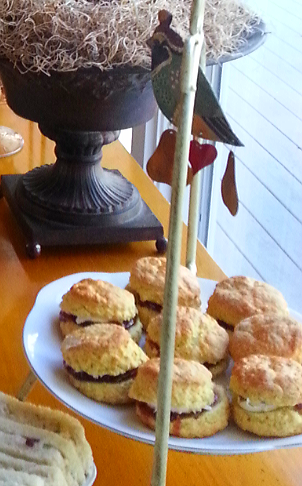 We sometimes do afternoon tea in special restaurants offering gluten free treats. I agree that this one would be a fabulous addition to your memory bank.